It's wonderful when the love of St. Francis finds my artwork! 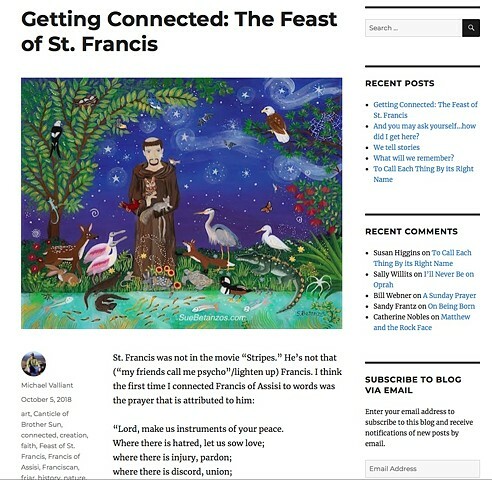 Talented author and blogger Michael Valliant chose my St. Francis in Florida to use in his wonderful, contemporary article about St. Francis. It's called Getting Connected. No spoiler alerts from me :) it's a good quick read if you are curious about this amazing human that is still influencing lives with his words of love and hope. Plus there is a lovely stained glass photo. My glass paintings are opaque, this one is translucent .